Matching body mists found in the deodorant aisle add a layered splash of refreshment to allow you experience a naturally inspired fragrance. 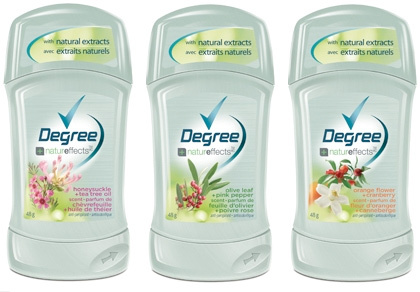 Degree Women Natureffects is available at mass market retail stores beginning March 2010. Visit degreewomen.com for more details. I just got the Orange flower and Cranberry…I Love the fragrance! I didn’t see the body spray or it would have been mine also.